Develop coding & story-telling skills with our progressive Game Development course. SuperCoding has developed a unique range of 2D game development programs offering children an progressively challenging and exciting way to learn multiple programming languages through the industry standard 2D game developing software, GameMaker Studio 2. Develop analytical methodology, creativity, and visual thinking skills while having fun marveling at a superb game made by you! Our balanced and experienced education team are masters in coding and game development, and are on-hand to guide students throughout the entire program. We have a range of 2D Game Development programs for your child that are designed to steadily introduce progressively challenging programming languages and concepts. Designed for ages 7-11 years old. 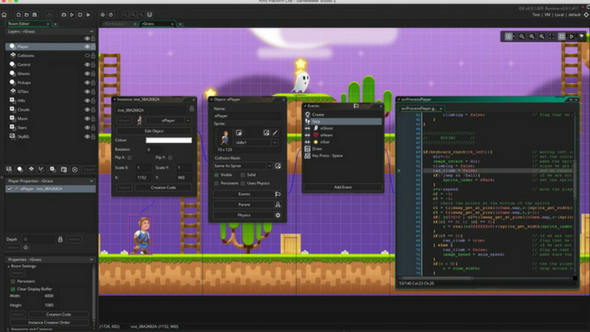 Learn how to design and code your very own side-scrolling game with GameMaker 8.1! This program is perfect for younger children with no experience in coding. Understand the logic behind programming with GameMaker's simplified drag and drop system! Learn about sprites, objects, rooms, backgrounds, sounds and so much more! Designed for ages 8-12 years old. 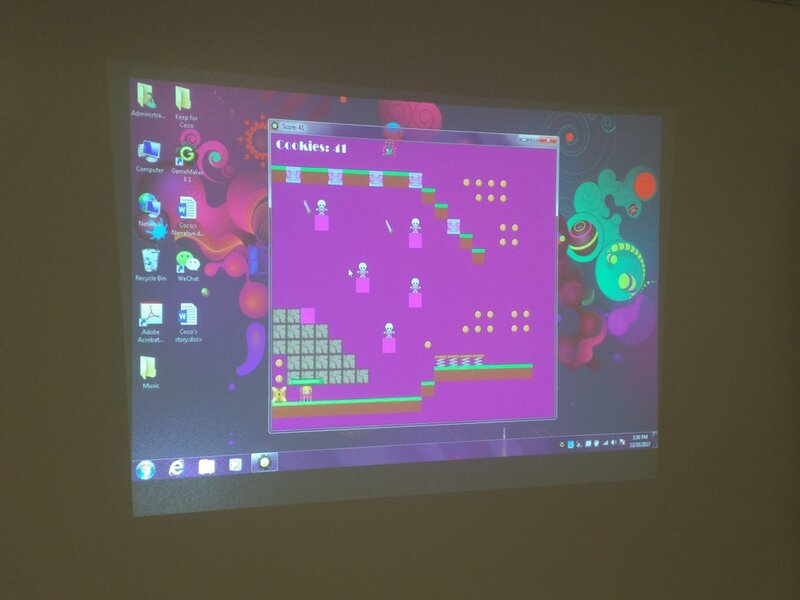 Learn how to design and code your own 2D platforming game similar to the Mario Bros series! This program is great step-up for graduates from the 2D Game Development 1 program. Learn intermediate logic practices from the GameMaker platform and create a fully publishable game you can share with your loved ones! Designed for ages 9-16 years old. Learn how to design and code a fusion game that consists of both a top-down role playing gameplay seen in the Legend of Zelda series and enhanced platformer gameplay from program 2! This program introduces advanced GameMaker coding techniques and concepts. Learn about level design, character development and code new mechanics only available in GameMaker Studio 2. Designed for ages 12-18 years old. Learn how to design and code a immersive turn-based game with gameplay similar to the Pokemon and Final Fantasy series. This program introduces the advanced coding techniques, finite state machines, looping, conditional branches, complex visual thinking, and more! Bring together everything you have learned from our rewarding GameMaker programs and develop a final project to be proud of! Why Is Game Development a Perfect Way to Learn How to Code? Engaging and maintaining a student’s interest throughout a education program is key in absorbing and retaining what is learned in class. Games stimulate the imagination, honing creative and logical elements of a child’s mind, keeping them engaged for the entire program. A sense of ownership is also important and every single one of our Game Development programs gives your child the opportunity to take home what they’ve built during the program.